Our knee-jerk reaction is to hate the bully. What if we gave our children the tools they needed to turn a bully into a friend? Some people call it anti-bullying. But Rivka Fishman turns this phrase on its head, and instead, what she teaches is all about bully-proofing your kids. 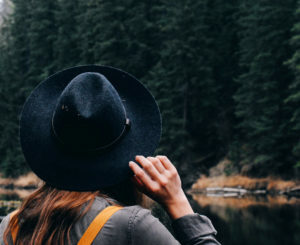 As a fourth grade teacher, Rivka had extensive training on bully-proofing and had given many workshops based, in part, on the teachings of Izzy Kalman. However, she was frustrated that the techniques that had helped so many of her students were failing her Kindergartener. Rivka’s research brought her to the “bucket-filling” concept, introduced by psychologist Donald Clifton. “When kids feel down or unhappy with themselves, it means their bucket is empty. 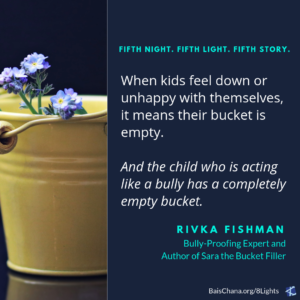 And the child who is acting like a bully has a completely empty bucket,” Rivka explains. A child with an empty bucket needs more love and empathy, not less. But sometimes, they try to fill their bucket and make themselves feel better by putting other people down. The key is to remember that no one has the power to empty your bucket – nobody can force you to feel angry or hurt. 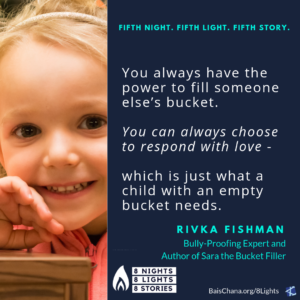 But you always have the power to fill someone else’s bucket, and you can always choose to respond with love – which is just what a child with an empty bucket needs. 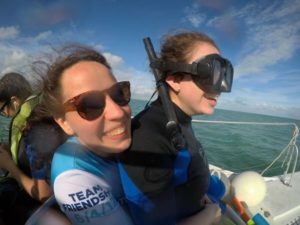 On the most fundamental level, Rivka’s work is all about being a more loving, compassionate person. Being a bully isn’t an identity, it’s a behavior that can and must change. 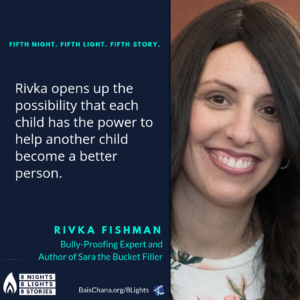 Rivka opens up the possibility that each child has the power to help another child become a better person. 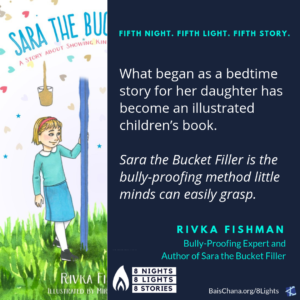 To make this lesson more accessible to children around the world, Rivka wrote a beautiful children’s book illustrating “bucket-filling” in a way that little minds can easily grasp. What began as a bedtime story for her daughter has become an illustrated children’s book that is published by Mosaica Press and distributed by Feldheim. Meet yesterday’s Light – Rivky Schwartz: Head Counselor at Camp Simcha & Camp Simcha Special here.